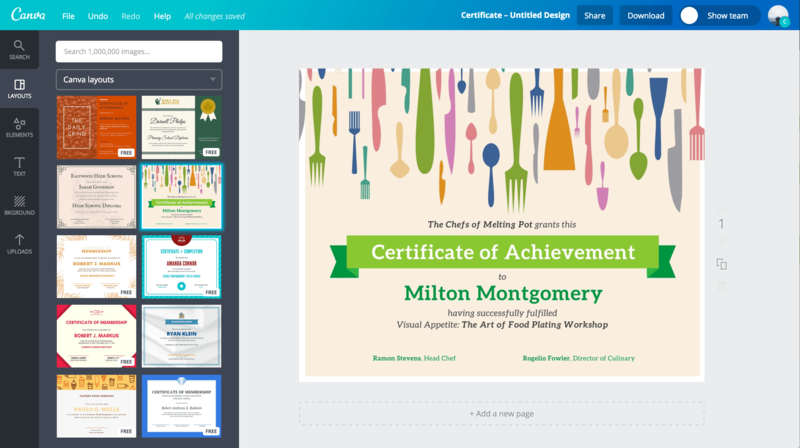 Create certificates for every award under the sun with Canva’s free drag and drop certificate maker. Give people the recognition they deserve with a professionally-designed certificate from Canva. 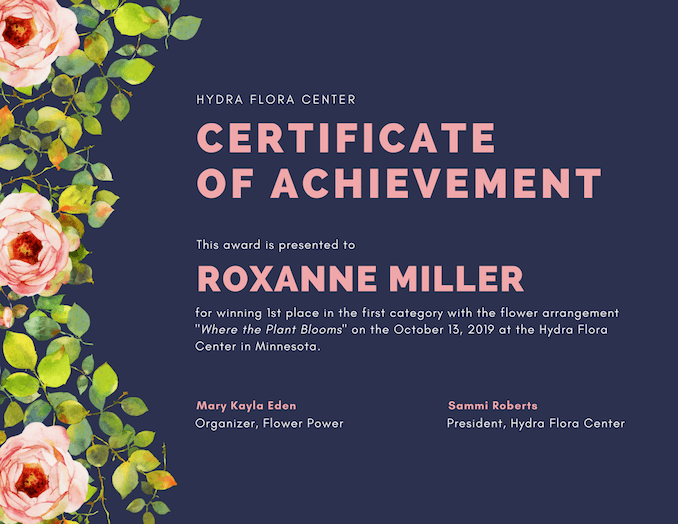 Whether you’re awarding an employee for their loyalty and service or acknowledging a speaker who has imparted their expertise during a talk, give them a beautifully designed certificate to remember. With Canva’s wide selection of templates and easy-to-use drag and drop design tools, you can come up with the certificate you need in minutes, no design experience needed! Add high quality images and illustrations, choose from over a hundred fonts and customize colors in a few clicks. By using Canva, you won’t have to start your design from scratch. Canva’s amazing designers have come up with over a hundred certificate templates you can use and re-use for free. Browse through the selection to find the right one you need like Certificates of Recognition, Attendance, Course Completion, Achievement and Diplomas. Create Award Certificates for contests or simply for fun — with Canva you have everything you need to design right at your fingertips. You won’t need to hire a designer just to create your Certificates. Canva’s design tools are easy to use and were especially made with non-designers in mind. Simply search for the elements and images you need and drag and drop them into the design. Create awesome text combinations by using Canva’s text holder and choosing among more than a hundred beautiful fonts. Customize colors with the color palette tool, and add backgrounds by choosing from various images, textures and patterns. Download and produce high resolution certificates by saving them as print-ready PDF files. 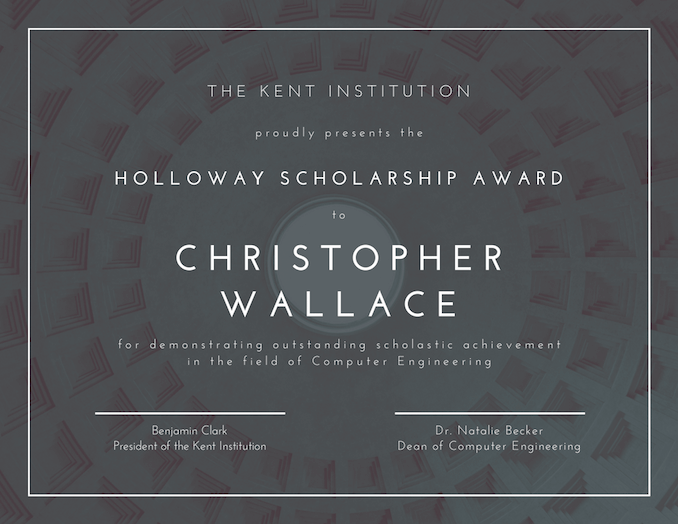 Your designs can even be shared on social media or sent via email directly to your awardees. Just head over to the share button and select the option you want. 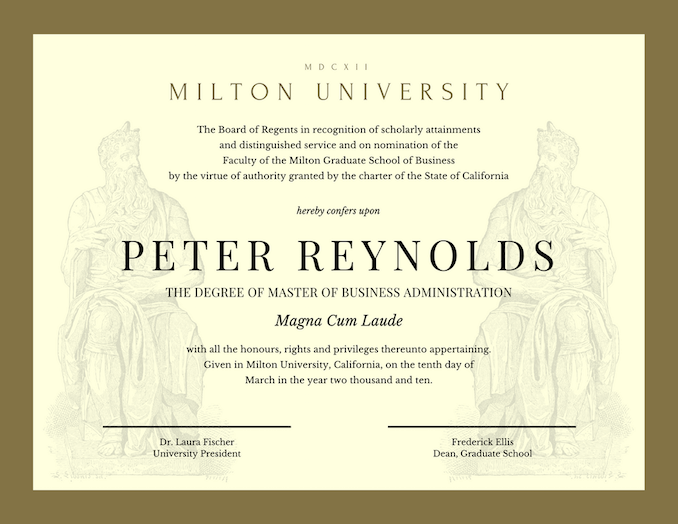 How can I add branding to my certificate? 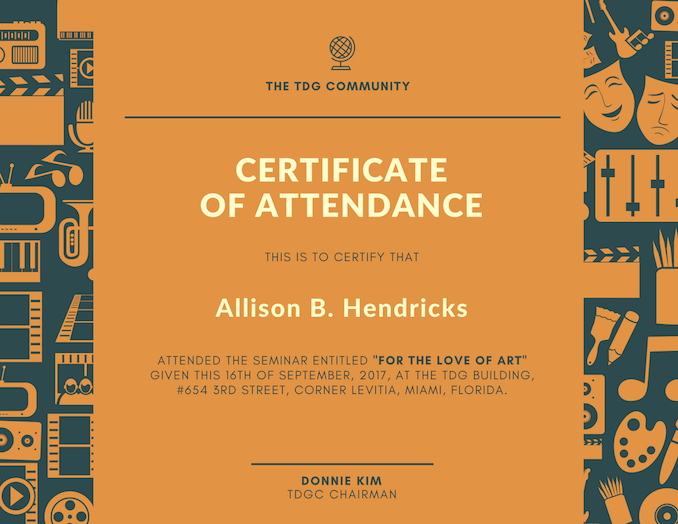 Create a certificate design that is instantly recognizable by uploading your logo, using your brand color palette and consistent fonts. To upload your logo, click on the Uploads tab in your object panel, select the Uploads folder, and click on the green Upload your own images button. Select any PNG, JPEG or SVG file you wish to upload from your computer.